Ferenc Puskás Stadium is the multi-purpose home of the Hungarian National Team, having hosted football matches as far back as 1953. It was renamed from Népstadion in honour of the former Real Madrid striker, and Hungary’s greatest ever football in 2002. Hungary’s national stadium was set to be built in time for the 1920 Olympic Games, however the onset of the First World War, and unfavourable economic conditions delayed the project by over 28 years until 1948. Built with the assistance of a largely volunteer labour force, the Népstadion (People’s Stadium) opened in 1953 with an impressive capacity of 100,000. The record attendance to date sits at 104,000 with the astronomical figure set on 28th July 1956 in a match between Vasas Budapest and Austrian Side Rapid Wien. Needless to say this is one record which is unlikely to ever be broken after conversion to all-seating in the 1990s. As a stadium which dates back to the first half of the 20th century, there has naturally been a lot of speculation as to its future. Whilst the Hungarian Government appears intent on replacing the iconic venue, a suitable opportunity has yet to present itself. Plans for a new 65,000 capacity venue were tied to a successful Euro 2012 bid, however Hungary lost out to the joint bid of Poland and Ukraine. 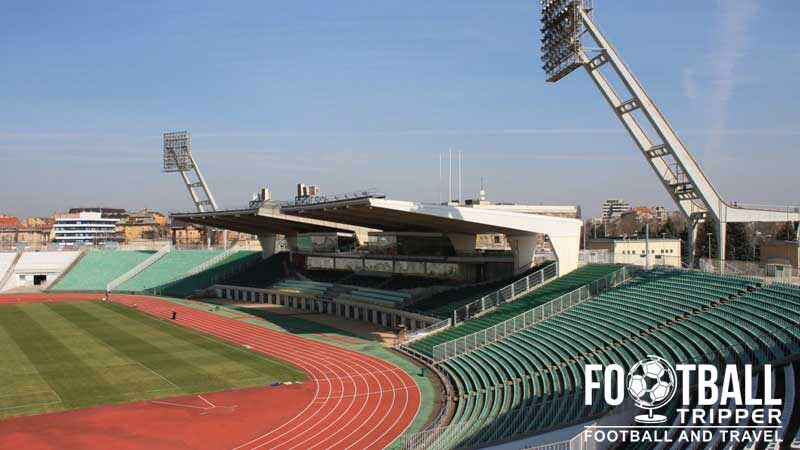 Plans for a new New Puskás Ferenc Stadium have since been resurrected however with the city of Budapest being awarded four matches of the 60th anniversary Euro 2020. 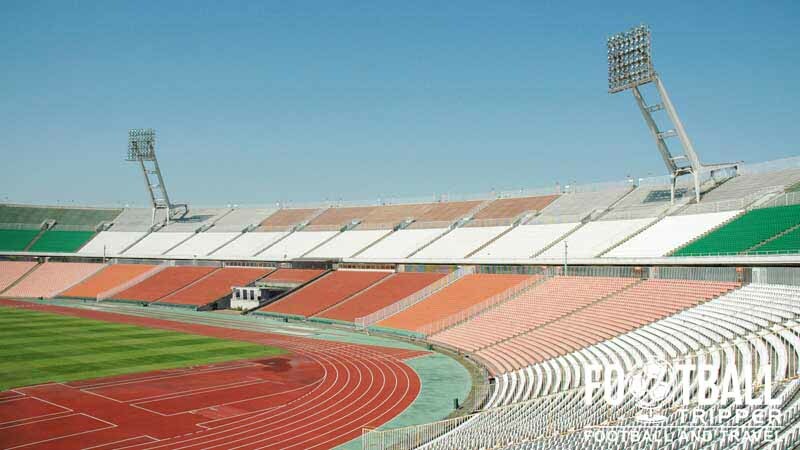 Ferenc Puskás Stadion has twice proven to be kryptonite for English Football with the English national team suffering its largest ever defeat on 23rd May 195 (7-1). In August 2002, Zalaegerszegi TE hosted Manchester United here in a Champions League qualification match and defeated their famous visitors with a single goal in the 92nd minute of extra time. Away fans are usually housed within the north-east corner of the stadium, with the the amount of blocks taken up by the travelling contingent purely dependant on numbers. For club matches such as Debrecen V PSV Eindhoven back in October 2010, the fans barely occupied one seating block which appears as if it would easily contain at least 2,000 supporters. As a popular tourist destination you will undoubtedly come across a decent number of bars and night-life in Budapest. It doesn’t appear as if there is a permanent club shop at Hungary’s National Stadium. Expect small street vendors on matchdays only. Whilst there isn’t a tour available of Ferenc Puskás (expect that to come with the new stadium) to the general public, there is a Sports Museum which you may be interested in visiting. Tickets for International matches involving Hungary and your country should always be obtained through your nation’s football association. Full information is available here, although you will have to use Google Translate! For matches involving a Hungarian club team such as Debrecen, tickets are usually available on the door. This generally covers domestic games as well as low profile Champions/Europa League fixtures. 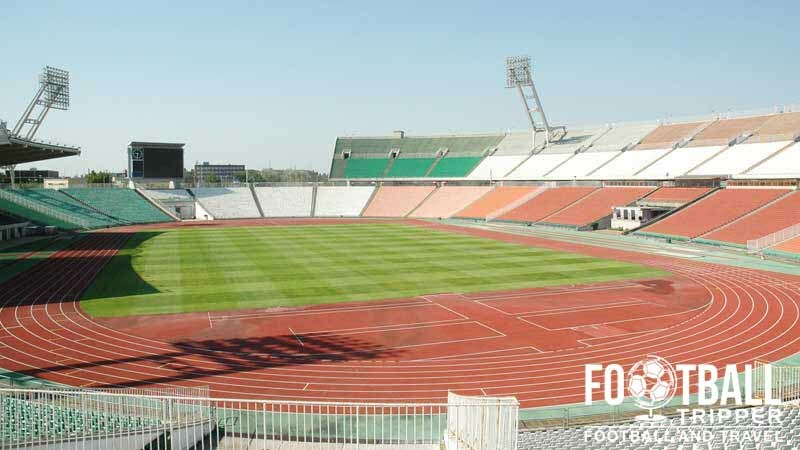 Ferenc Puskás Stadion sits on the eastern side of the River Danube, approximately 5 km or so from the city centre. Depending on your starting location the journey by foot is likely to take the average football tripper anywhere between 45-60 minutes. There appears to be limited parking both at and immediately around Ferenc Puskas so you’re advised to make use of public transport. The stadium is served by the Puskás Ferenc Stadion metro station which forms part of the M2 line. It will take you to the south-east corner of the sports complex, less than five minutes walk away from the football ground. There is also the Puskás Ferenc Stadion Tram Station next to the metro which in some cases can be a viable alternative. It sits on tram lines 1 and 4. 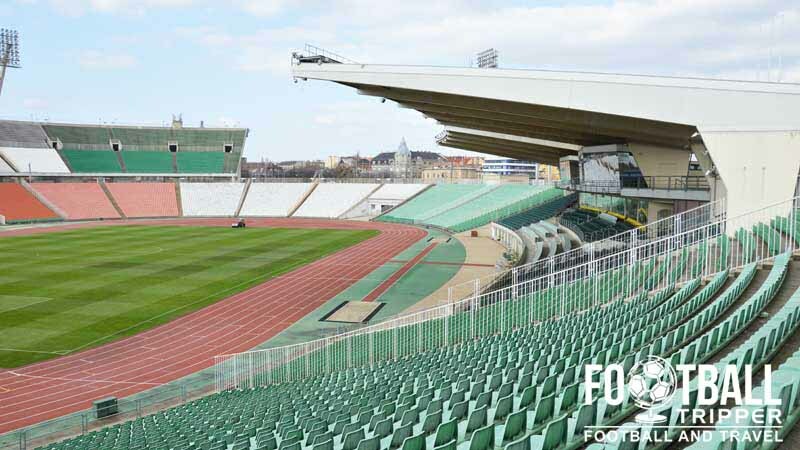 A cross-sectional look at the iconic main stand of Ferenc Puskas Stadium. Budapest Ferenc Liszt International Airport is the largest out of Hungary’s four commercial airports, and is easily the main flight hub of the country. Sitting 16 km south-east of Budapest’s centre, you can catch a bus service every 10 minutes to Kőbánya–Kispest Metro Terminal which can then transport you into the city centre in no time at all. Dotted around the sports complex are places to stay such as the Danubius, Hid Hotel, and the Lion’s Garden Hotel with the actual city centre chock-a-block with diverse accommodation options. Notable names include Hotel Ibis, Radisson Blu, Hilton and the Marriott but locally owned ones are usually much better value for money!